Get a FREE mini-SEO report analyzing your website. 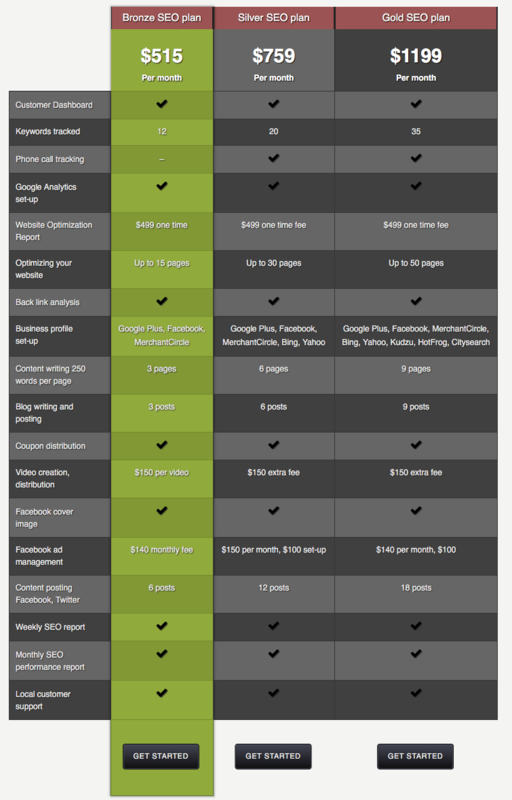 Below are the prices for our full SEO services to improve your Google page rank each month. List your website on 50+ directories at once with updates anytime. Monthly price=$80. Call us for details.